And why not? 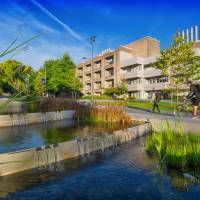 Canada is home to some of the world’s best schools for higher education. 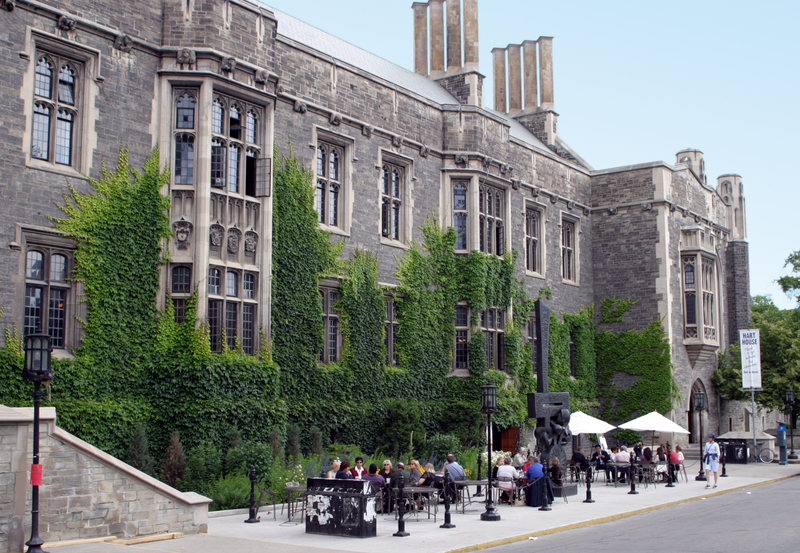 In fact, the country’s top three — the University of Toronto, the University of British Columbia and McGill University — occupied spots 22, 34 and 42 in the 2018 Times Higher Education World University Rankings. Moreover, Canadians and Japanese generally seem to have positive views of one another. In the GlobeScan/PPC Country Ratings Poll conducted for the BBC World Service in 2017, no country was thought of more positively than Canada. In the same poll, Japan was viewed positively by a larger percentage of Canadians than any other nationality bar the Australians. Canada is also considered to be a relatively safe country. According to the 2017 OECD Better Life Index, 81 percent of Canadians “feel safe walking alone at night.” In fact, Toronto was ranked the fourth safest city in the world — behind Asian cities Tokyo, Singapore and Osaka — in the 2017 Safe Cities Index compiled by The Economist. With all these positives, why don’t more Japanese consider Canadian universities to be a viable option? The likely reason: cost. A recent study conducted by Stanford University student Christina Nikitin indicated that cost is the dominant reason why Japanese students contemplating university study overseas decide to stay inside Japan (see “Why don’t more Japanese study abroad? The cost and the hassle, survey shows,” Learning Curve, Jan. 24). According to Statistics Canada, the average tuition at universities in Canada in 2017/18 was 6,571 Canadian dollars (¥0.55 million) for Canadian nationals and CA$25,180 (¥2.1 million) for international students. In Canada, tuition varies according to the program of study, so a student pursuing a degree in education, agriculture, humanities or nursing, for example, would have fees that are a little lower than average, while a student studying medicine, law, pharmacy or engineering would have costs that are a bit higher. Living costs would then need to be included, and the cost of housing, food, books and the like is estimated by the University of British Columbia (UBC) to total around CA$15,500/year. An extra CA$2,000/year would then be needed to cover compulsory university fees and mandatory health insurance, bringing the additional amount to CA$17,500, or ¥1.5 million. Figure in travel costs from Japan and you’re looking at a total of around ¥3.7 million/year for an international student to embark on this challenge. 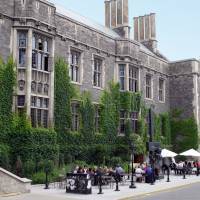 For bright students looking for financial assistance, the University of Toronto (U of T) recently began recognizing around 37 international students yearly with the Lester B. Pearson International Scholarships, an award based on merit rather than need that covers tuition, books, incidental fees and full residence support for four years. 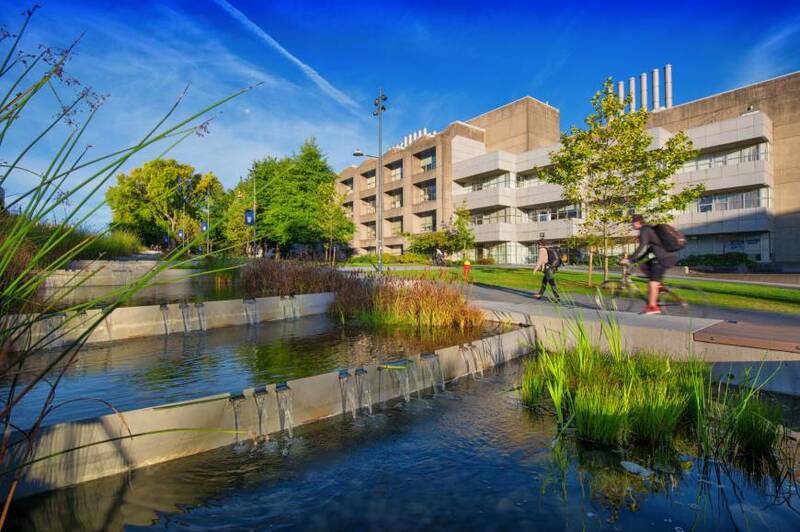 Over on the west coast of Canada, exceptional international students entering undergraduate programs at UBC are automatically considered for International Major Entrance Scholarships (IMES). The number and level of those scholarships vary each year depending on available funding, but in the past IMES scholarships of up to CA$10,000 (¥830,000) per year for four years have been offered. Getting accepted by these Canadian schools is also much less of a struggle than it can be elsewhere. Recent offer rates at U of T, UBC and McGill were 49, 57 and 43 percent, respectively — much higher than the single digits often seen at other elite schools. Canadian universities can be very large, though. U of T has over 70,000 undergraduates, UBC about 53,000 and McGill 27,000. Diverse student bodies representing over 150 countries can be found at all three universities. International students make up about 20 to 25 percent of the undergraduate body at each school, with Chinese citizens accounting for 56 percent of international students at U of T and 38 percent at UBC. 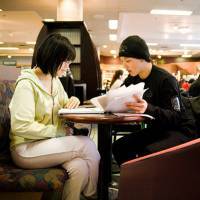 At McGill, the international student ratio is a little more balanced — 26 percent American, 21 percent French and 22 percent Chinese — most likely because McGill is located in French-speaking Quebec and citizens of France (and a number of other Francophone countries) are eligible to be billed at the Canadian rate of tuition for schools in the province. Another factor to consider is that two of these schools have six-year graduation rates that are somewhat lower than highly selective public schools elsewhere. A “six-year graduation rate” is the proportion of entering students in a four-year program graduating by the end of the sixth year, so a higher figure — indicating more students stuck with their courses and subsequently graduated — would presumably be better. At U of T, this figure is 74 percent, at UBC it’s 72 percent and at McGill, 84 percent. In comparison, the six-year graduation rate is 95 percent at the University of Virginia and 91 percent at the University of California, Berkeley. But some really bright people have made their way through to graduation day, my favorites being the writer Malcolm Gladwell (B.A., 1984, U of T) and Canadian Prime Minister Justin Trudeau (B.Ed. 1998, UBC). The total cost of around ¥3.7 million/year for an international student to attend university in Canada is far more than a student would be expected to pay in Japan, where tuition at public and private universities averages less than ¥1 million/year. But the Canadian total would be far less than the ¥7 million/year sticker price attached to many renowned universities in the U.S., even though a survey I conducted in 2016 revealed that 68 percent of Japanese matriculating to overseas universities (mostly outside Canada) were receiving an average of ¥3 million in institutional financial aid that would not need to be paid back, bringing the true total to around ¥4 million — nearly the same as that required of international students in Canada. So why study in Canada? If you’ve got Canadian citizenship (or one from a Francophone country), which greatly reduces the cost, why not? And if you’re a bright youth looking for a quality education within a vibrant multicultural environment, and your family is comfortable with the cost or you’ve been awarded a scholarship, why not? The author can be contacted at mshassett@gol.com.